P/S: I've also heard some feedback here and there that people think we just post up our thoughts and reviews on products JUST AFTER we buy them. That's totally not true guys. We always give it about 3-5 weeks to gauge the quality of the products, because we know that it takes that long to really come to a conclusion. So don't worry - we try to be as thorough and objective with every product we use! With that in mind, let's start! I bought this because I've been on the search for a BB Cream that DOESN'T/WON'T break me out should I use it everyday, and I heard shining reviews about this from everyone. So yes, I took the plunge, purchased it, and could not be happier. I was slightly hesitant about it because I've been using BB Creams over the years (make that 5 to be exact) and nothing has NEVER broken me out (meaning that everything has lol. I get how double negatives are confusing). Sure, some take longer than others, and some do have their winning qualities (like Kiehl's), but at the end of the day, I am sure to get tiny dots no matter what. It is slightly depressing I will admit, but I've never given up hope, and NOW I'VE FOUND MY HOLY GRAIL!!! 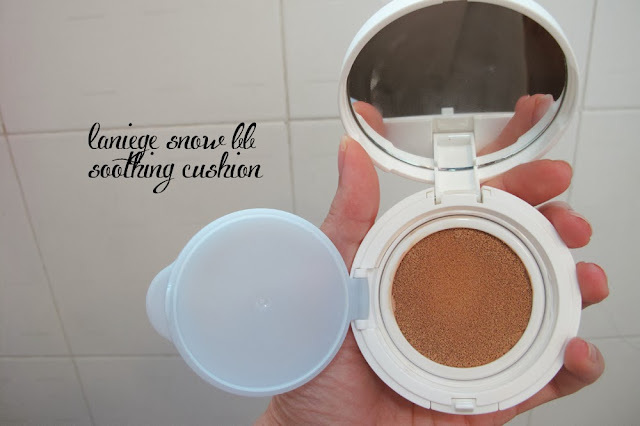 This is soft, smooth, and glides on with just enough product and coverage. Do keep in mind, I am never looking for medium-full coverage foundations/bb creams/powders - I always look for minimal/light coverage because I just want to brighten up my face/even out my skin tone. :) I love how my skin looks radiant without appearing oily, is constantly moisturized and supple, and looks amazing throughout the day! I would write a love note to this BB cream if I could, but that would be creepy. I love this lip color for the first reason being - Ashley bought it for me ^^. Second reason being - it lastsssssss. Oh, it lastsssss. I don't often like the full on RED LIPS, so I'm lucky this one has a vermillion tone to it. 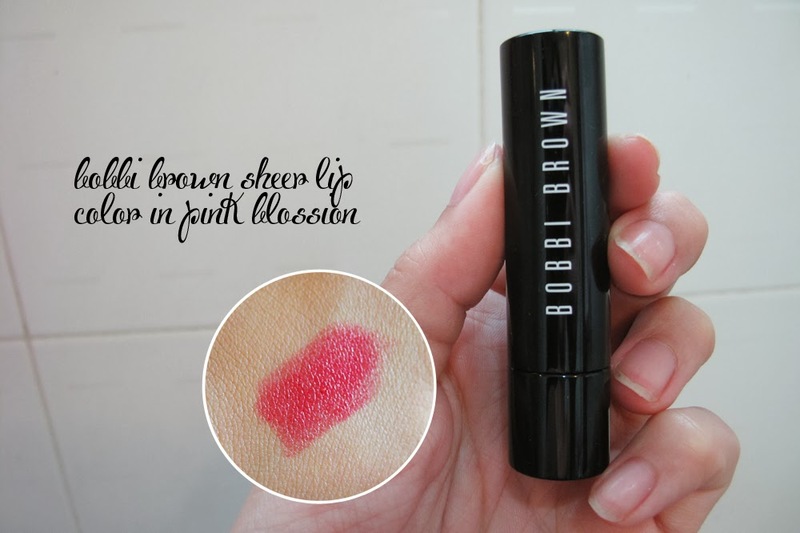 It seems slightly coral and resembles the Dior Riviera Lipstick a little, but the color is much more matte and vibrant. It isn't really SHEER as the name suggests. It is actually quite saturated in terms of color and can be strong if you apply with a strong hand. It can also be somewhat drying, so be sure to apply lip balm about 15-30 minutes before you put this on. I used this throughout my trip in Australia and I was so happy how it allowed me to minimalize the rest of my makeup so I could just rush out every morning without hassale; after all, with strong lips, you only need a little eye makeup to complete the look! I got this after my Dr Hauschka Cleansing Cream finished and was itching to try something new hehe - we all know that feeling right! 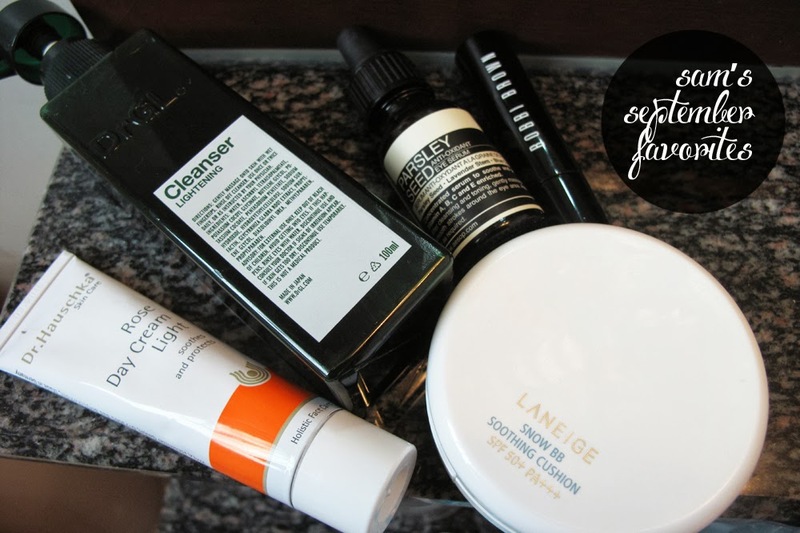 ;) Anyhow, people have been talking about Georgia Lee's skincare for awhile and I've felt so far behind the bandwagon that I decided to jump on it! It was.. a big change for me to start using this. I have not used anything that foams/lathers on my face for.. what.. about a year or two? My skin was slightly shocked like WOW this seems strong. The first time I used it my face felt SO TIGHT I immediately put an overnight moisturizing mask on it. However, as time went by, I realized I was using too much product and that was causing the dryness. So remember to just use a 10-CENT COIN AMOUNT by controlling the pump. Lesser is better in this case. 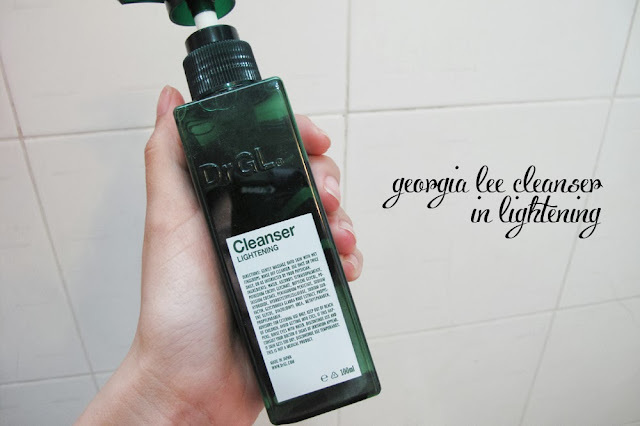 It cleanses so thoroughly yet gently, and I can see my skin tone evening out with each wash! It feels great especially after a long day out and you've come back to wash all the muck off your face! OH YES! And for something that lathers, it is also surprisingly not drying (once you figure out how to dispense as little as possible) - take it from someone with constantly dehydrated skin. I was actually using Dr Hauschka's Melissa Day Cream for the longest time, but my skin has started to dry out whilst I was in Australia. It's so sad.. everytime I go to a place during winter, my face just becomes a desert. 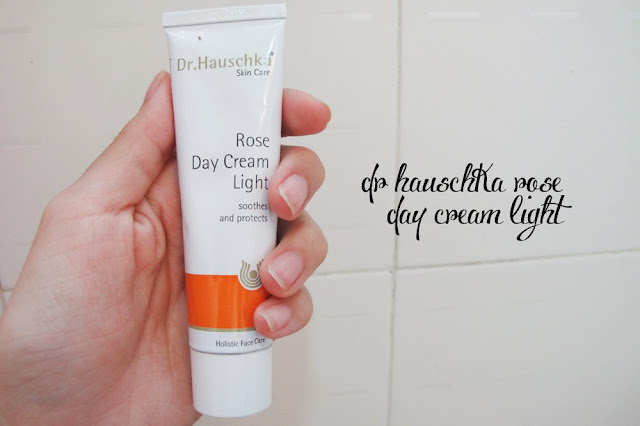 I switched to the Rose Day Light Cream after asking my facial therapist what to do about the situation, and it's been a dream! 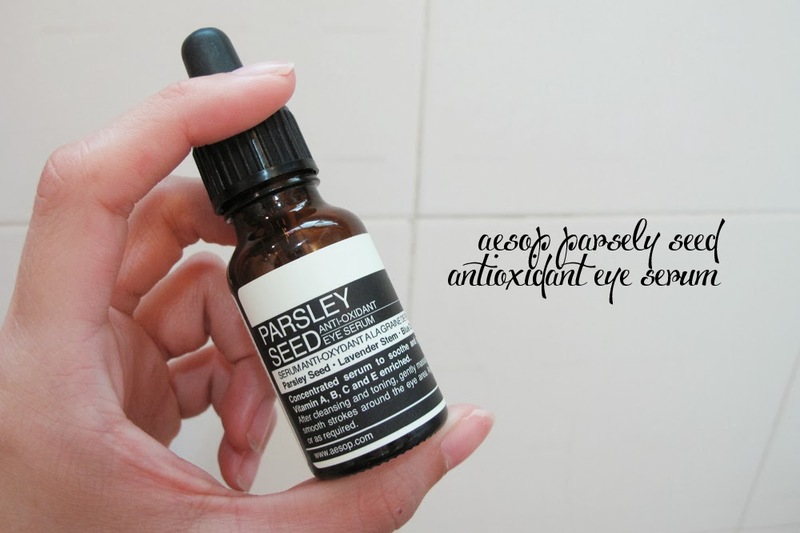 It isn't oily at all and it absorbs into my so quickly! It isn't as heavy as the Rose Day Cream and seems perfect for Singapore's humid weather! It is intended for drier skin types though I cannot fathom why because it doesn't seem to leave an oil slick on my face as most moisturizers intended for dry skin normally do. I am going to take that as a good sign because my make up and go on top with EASE and looks flawless through the day! I got this in Australia because it's so much cheaper to purchase it there than in Singapore. If you haven't already read my Australia post, WHY HAVE YOU NOT!?!? Here is the link, you better click it, because I'm watching you, lol. It has amazing photos of my baby niece who's the cutest baby in the world, what's not to like!? I've seen on Makeup Alley that the reviews aren't too great for this, but it's really to each their own. For something the same price range, you could also try out YSL's Youth Liberator Eye Serum (we wrote about Eye Cream here). In Bugs Bunny's words.. THAT'S ALL FOLKS! Or was it Porky Pig.. My memory fails me. I hope you guys have enjoyed it, and YOU KNOW WHAT TO DO ;) Comment below if anything!